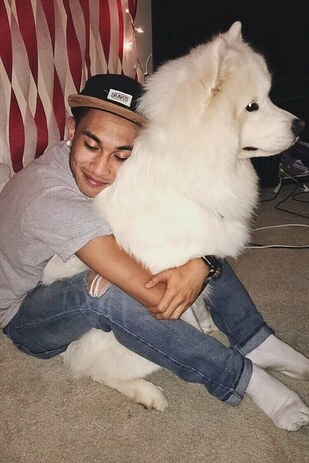 Recently, the 20-year-old and his family went on a trip to the Philippines and they left their white fluffball behind with Fontanilla’s older sister. He says: “He [had not] seen us for about three weeks and [it was] the longest he’s been alone.” The family missed Kygo, so they decided to try and bridge the gap by FaceTiming with their beloved pooch. At first, Kygo was confused and didn’t even realize that his humans were on the phone screen. But the second he got it, the pup’s face completely lit up. Just look at that smile! Fontanilla shared the adorable photos on Twitter, with the caption: “This is my dog realizing hes fting with me & my family because were away on vacay and look how happy he got.” His post has been retweeted more than 26,000 times, and garnered over 43,000 likes because who could resist this smiling bundle of joy?